PROSHRED Indianapolis opens new, spacious facility in Indianapolis offering Shredding, Hard-Drive Destruction, and more. 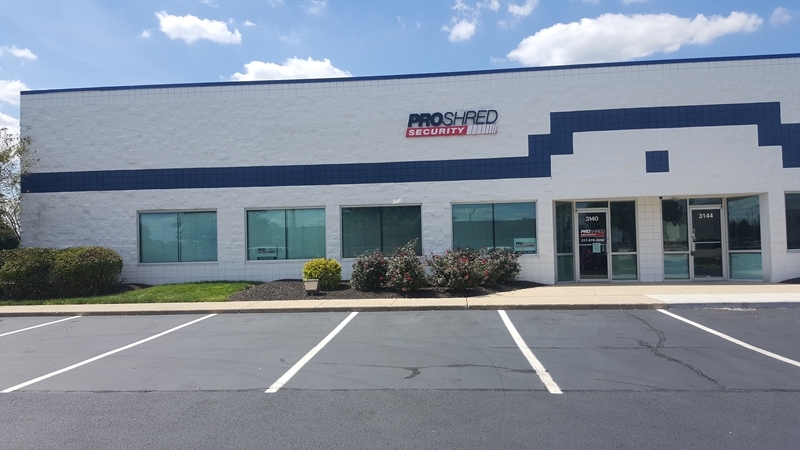 PROSHRED Indianapolis has officially opened the doors on their new, conveniently-located Shadeland Avenue location. In addition to its central location near the intersection of I-465 and I-70, the new facility now allows PROSHRED service vehicles to be kept indoors, ensuring less operational downtime during inclement weather. The PROSHRED team is still putting the finishing touches on the new space but plans to continue expanding its service offerings with the additional square footage. “We hope over time that this new location allows us room for more vehicles that will help us provide even faster turnaround times to our clients,” says Ken Carite (Owner). PROSHRED Indianapolis specializes in one-time shredding services, scheduled shredding service, and drop-off shredding for individuals and businesses. Over the course of just a few years, PROSHRED Indianapolis has become the region’s most trusted name in secure, affordable shredding services. With no fuel surcharges, no trip fees, and flat-rate pricing based on number of containers, the brand offers highly competitive rates and unparalleled information protection. Servicing businesses ranging from financial to professional to medical in nature, the PROSHRED system is nationally recognized with ISO 9001 certifications and an unbeatable AAA rating from the National Association for Information Destruction (NAID). PROSHRED INDIANAPOLIS is a locally-owned and operated branch of the greater PROSHRED franchise. Known for fast-turnaround, competitive pricing, and unrivaled security, PROSHRED has become the country’s leading name in information destruction and shredding. PROSHRED Indianapolis provides information destruction at your door. For more information on PROSHRED Indianapolis, visit their website at http://www.PROSHRED.com/Indianapolis.